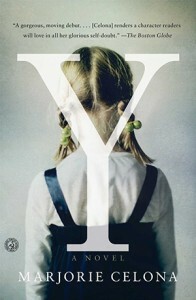 I’ll be the first to admit that, upon reading the description of Celona’s debut novel, Y, I didn’t set my expectations too high. The book jacket told of a baby left at the doorstep of a Vancouver YMCA, and a secondary story involving the mother that gave her away, and my mind immediately expected a glorified after-school special, so you can imagine my surprise when I found myself immersed in a complex coming-of-age story, rich with both emotion and honesty. The title alone contains many layers; gender and identity, a symbol of a fork in the road, a place, a question in and of itself. The novel within reads very similarly, causing the reader to peel back the obvious layers of Celona’s storytelling to reveal the complexity of growing up and forging an identity in a world where you don’t know where you’ve come from, and how you got there to begin with. Despite this exploration of identity taking place amidst what could easily be a background of negativity, this is one story of an orphan that seems laced with unexpected positivity. Sure, her first foster experiences are unfavorable, but ultimately? She finds love, acceptance and family just when it seems likely she’ll give up hope. Though there are times when I want to beat the main character and some of her less central counterparts over the head, this compelling read certainly left me with a taste of what is yet to come from newcomer Marjorie Celona.